Do you love Sudoku too? Are you hooked on the addictive brainteaser Sudoku? Now you will never have to take a break from your favourite hobby. Continue to challenge your brain while you're on the toilet. 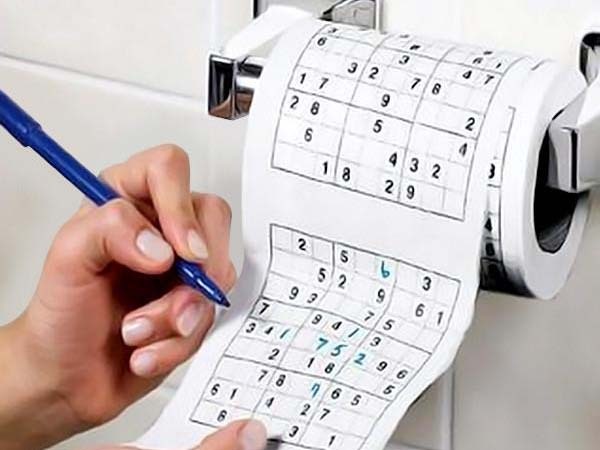 We are proud to present Sudoku Toilet Paper. 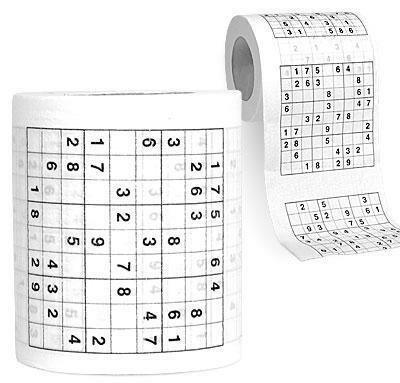 This toilet paper will provide you with hours and hours of Sudoku fun! The toilet paper features unique puzzles. Stuck? Not a problem. 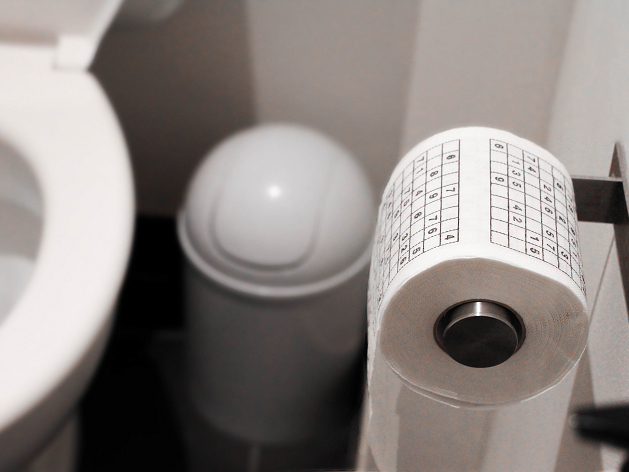 Use the paper, flush it and start the next round. No-one will ever discover your secret. 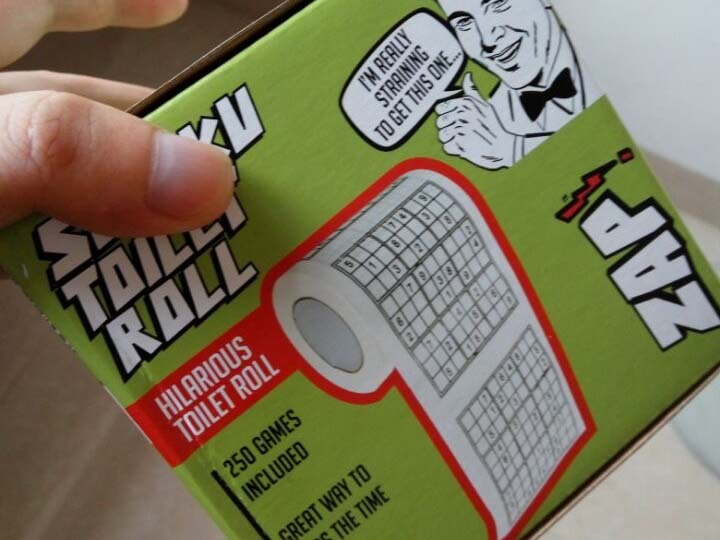 The perfect toilet gadget for Sudoku addicts!